CORBA's 21st Annual Fat Tire Fest and Fundraiser is happening Sunday October 12th at Castaic Lake! Come join in a fun filled day of mountain biking for the whole family, poker rides for all skill levels, guided rides for beginners and experts by beautiful Castaic Lake. Want to improve your bike handling skills and learn new riding tips? Join 2008 National Champion Jr. Expert Essence Barton who will assist CORBA Skills Instructor Mark Langton in the skills clinic and lead the experts ride. Compete in MTB games of skill like the Cynergy Hill Climb contest and Bike Warrior's Wheelie contest and demo for the grand prize! Win the log pull contest for the fastest time! New Events! 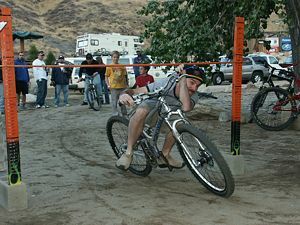 This year test your balance and agility with the Bike Limbo contest - how low can you go on a bike? Have fun and learn bike safety with the Kids Bike Rodeo for children ten and under. Catered lunch. Snacks available from Whole Foods. Raffle ticket holders can win these and other great prizes!! Women's Rockhopper Comp from Specialized! Two Simple Seven cruisers from Giant! Novara System 2.0 mountain bike from REI! Superlight D XC bike from Santa Cruz! Raffle Tickets on Sale All Day! Raffle Sessions at Noon, 2 PM and 3 PM. And more!!! Visit the Fat Tire Fest web site to see all our exhibitors who will be at the event, donors and fantastic prizes you can win! See the latest gear and bikes you can demo from all our exhibitors! Come out and RIDE! 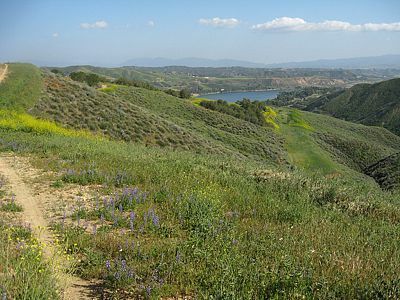 Have fun all day at scenic Castaic Lake! Come out to support CORBA's mountain bike trail access and advocacy efforts in Los Angeles and the surrounding area!! Your contributions to CORBA and all our volunteer programs ensure continued trail opportunities for the mountain bike community!